Associate Member Eoin Young lost his battle with cancer yesterday, 4 September, in New Zealand. Eoin was one of the outstanding and most well-known motor racing journalist of his generation. He had a hugely varied career in the sport that started whilst a bank clerk in New Zealand when he filed motor racing stories for his local newspaper, the Timaru Herald. 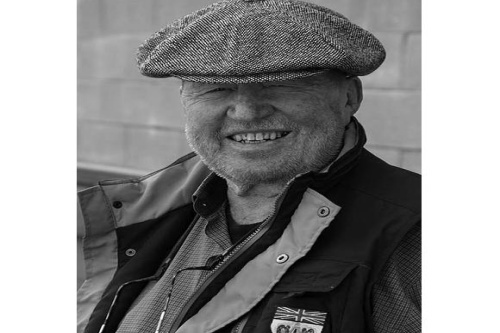 He was one of the first to notice the potential in a young Kiwi named Bruce McLaren and a friendship flourished which would lead to opportunities that set the course for the rest of his life. The Club’s full obituary will do justice to his full involvement in the sport, but in brief, Eoin ghosted Bruce’s columns in motor racing publications, accompanied Denny Hulme around Europe in Formula Junior in 1961, became Brue’s Secretary and in due course a Director of Bruce McLaren Motor Racing Ltd. Eoin’s column in Autocar ‘From the Grid’ ran for 31 years and he handled PR for several in the sport including Gulf, Tyrell and Elf.